A house, two kids, a manicured lawn and a well-maintained fence to keep it all safe. For years, that was the dream to which many Americans aspired. But if you scroll through your social media feed or watch one of the countless reality shows about real estate and housing, you’ll notice that many folks are eschewing that traditional American home in favor of alternative accommodations. The reasons people prefer these nontraditional structures are as diverse as the buildings themselves. Some want to simplify and declutter their lives. Others want to save money and energy. Here’s a look at a few of the more popular non-traditional home designs that might be coming to a neighborhood near you. Tiny houses look like real houses, with square corners, traditional siding materials and pitched roofs. They typically offer 100 to 130 square feet of living space, and must be less than 8 feet 6 inches wide and 13 feet 6 inches tall to legally drive on the road without a special permit. The tiny house trend got its start with a man named Jay Shafer who built his first miniature house on wheels in Iowa in 1999. Shafer is a person who liked to challenge the status quo, and after living in a variety of nontraditional spaces over the years, he started drawing plans for imaginary houses. Over time, the designs got simpler and smaller, and he was inspired to build one for real when he learned they didn’t meet building codes. He took that as a challenge and realized that if he built the house on a prefabricated, street legal trailer, it would be considered a trailer load and not a house and, thus, not subject to building codes. This nonconformity makes tiny houses a controversial issue in many communities, and local governments struggle to balance individual rights, local codes and public safety. Their nontraditional design also makes tiny houses more difficult to finance and insure, although options for both are available. Despite these challenges, thousands of people purchased do-it-yourself plans as well as manufactured tiny houses from Shafer and other designers. Unlike mobile homes or camping trailers, tiny houses look like real houses, with square corners, traditional siding materials and pitched roofs. They typically offer 100 to 130 square feet of living space and must be less than 8 feet 6 inches wide and 13 feet 6 inches tall to legally drive on the road without a special permit. The weight varies based on the length and rating of the trailer, but tiny houses are typically much heavier than camping trailers because they are made from traditional building materials. Tiny house living continues to pick up in popularity in Colorado. Several companies offer manufacturing services to suit what buyers long for in a little home, including Colorado Springs-based Tumbleweed Tiny House Factory, Durango-based Rocky Mountain Tiny Houses and Fort Collins-based MitchCraft Tiny Homes. 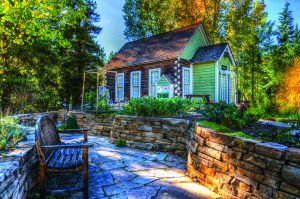 Now trending throughout the United States are tiny home communities where like-minded little home lovers can enjoy the niceties of living in a neighborhood, but on a much smaller scale than traditional living. One such community located in Fairplay offers tiny house owners a community clubhouse as well as nearby access to Breckenridge Ski Resort, fly-fishing hot spots, ample hiking and many more outdoor adventure options. A new tiny house planned development popped up in Salida as well, where the manufacturing of 200 rental units is currently under way. Located along the Arkansas River, the tiny house community will feature a community building, exercise facility, restaurant, 96 storage units and more when completed. Sprout Tiny Homes is developing this community and has plans to break ground in Walsenburg where it will build a 33-unit tiny home community to address the need for housing in the area. The shipping container became a political symbol for many people in recent years. To some, they are a symbol of the decline of American manufacturing. To others, the containers are tools that connect us to a globalized economy and lower costs of many consumer goods. But to a group of architecture enthusiasts, the shipping containers stacked on cargo boats, carried by freight trains and pulled by trucking rigs are grown-up Lego blocks waiting to be turned into homes. The first container buildings were built by those looking for a fast, simple and low-cost way to provide shelter. Containers are strong, easy to transport and, thanks to global trade, abundant. A Rhino Cubed container home. Over time, what started as a clever way to recycle old containers and quickly build inexpensive structures changed into an architectural trend. The modular, boxy aesthetic of shipping containers gives container homes a modern look that many find appealing. Today, container homes range in size and complexity from modest, inexpensive, utilitarian dwellings to large, highly customized, luxury homes. Container homes are getting attention in Colorado as well. Rhino Cubed recycles and repurposes out-of-commission shipping containers to create compact homes that make a big impression. The Louisville-based company sells containers with minimal amenities such as windows, doors and lead-free certification; midstream amenities with all the above plus hickory floors, finished walls and insulation; or all-you-could-expect-from-a- house perks, such as a full kitchen, storage, water disposal, bunk beds, exterior paint and more. Container home enthusiasts say the three keys to a successful project are understanding all local building codes and safety regulations before starting the project, hiring a contractor that has previous experience with this unique form of construction and purchasing the correct type of container. 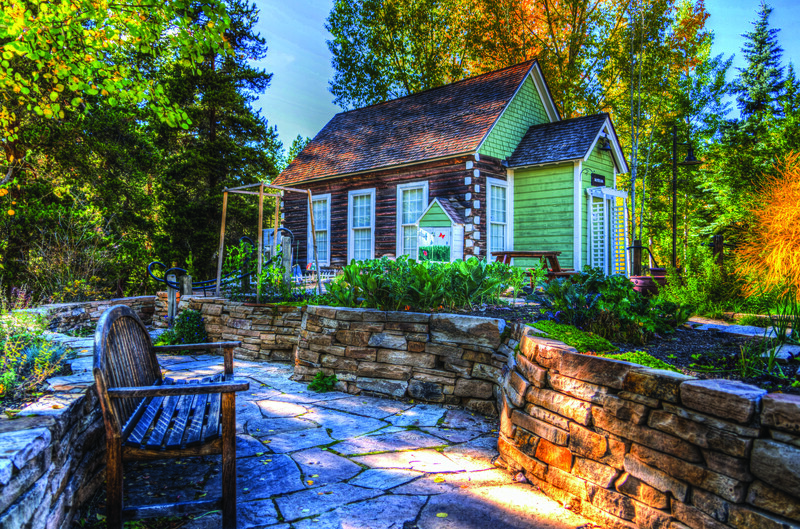 The options are plentiful when it comes to miniature domiciles in Colorado and beyond. 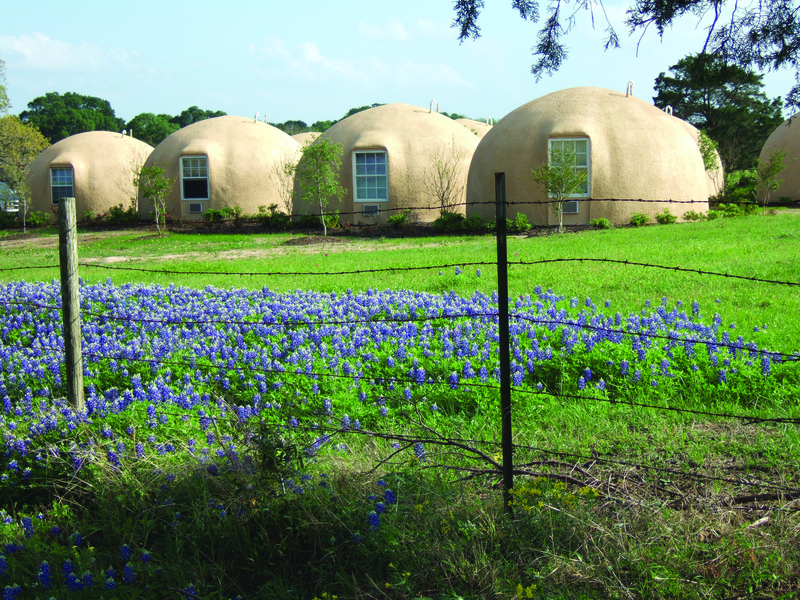 From tipis to monolithic homes to yurts, home buyers can choose what suits their fancy. At Colorado Yurt Company, for example, potential buyers can build a yurt from scratch using their Yurt Price Calculator. Select the requirements for your yurt, such as door type, window options and snow and wind load packages, and watch as it calculates your costs. Even traditional houses aren’t immune to the trend of alternative construction techniques. Advances in technology transformed the manufactured housing business as well. In addition to the classic mobile home and newer modular home designs, high-end custom homes created from prefabricated panels built in a factory can be purchased and assembled on site. This can save up to 15 percent over the cost of a traditional home. So, whether it’s a tiny home, a yurt, a container or a prefabricated home, the American dream of home ownership now comes in many shapes and sizes. 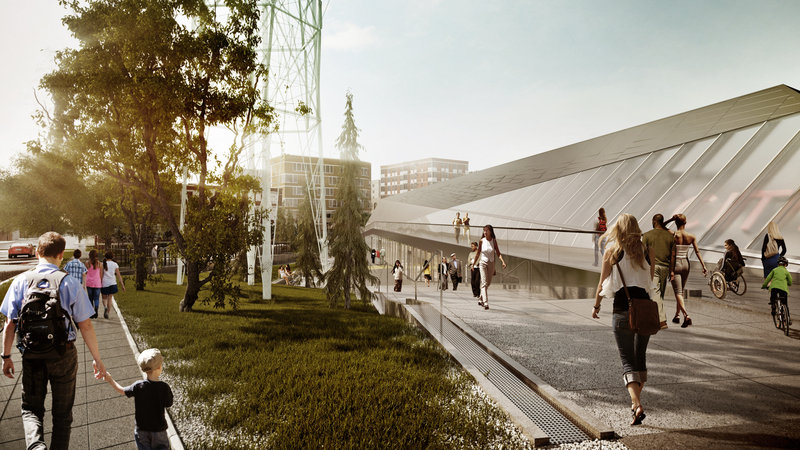 Could this be the substation of the future? If everything goes according to plan, you may never even know about those changes, says Tom Lovas, a technical liaison and consultant with the National Rural Electric Cooperative Association. Before making sense of what Lovas means by a substation becoming a point of information, it helps to understand what a substation does. That mass of wires and equipment you see behind chain-link fences as you drive along freeways or side roads basically turns high-voltage electricity into lower voltage electricity that can be used in your home. Electricity generated at a power plant gets “stepped up” to a high voltage at a substation because that’s a more efficient way for power to make the long-distance journey through transmission lines. When the current gets close to where it will be used, another substation steps the voltage down, for distribution to you and your neighbors. 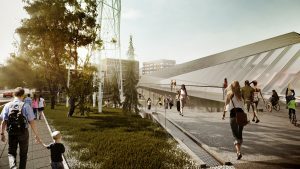 But that straight-line path for electricity is changing, says an international industry group planning for how the substation of the future will fit in with the power lines and power plants that make up the electric grid. One example of customers serving as suppliers of energy is the fast-growing number of homeowners installing rooftop solar panels. Now, electricity doesn’t just flow from a power plant through a substation to a house. Instead, electricity also flows in the opposite direction, from the house, then back onto the grid as homeowners sell excess solar power back to their utility. When power flows in both directions, running a utility gets a lot more complicated. First, there’s safety. Lineworkers need to be sure they know which wires are energized and which are not. Electricity traveling in a different direction could put new stresses on old equipment, and utilities need new ways to monitor electric current so they can keep track of new patterns of electricity use and generation. Lovas cites an increase in electric cars as another new addition that could change electricity use as people charge their vehicles at a variety of times and places. Information collected at a substation could keep track of how transformers are performing so they could be replaced before they fail or even recognize power use patterns that could predict an outage. “We collect zillions of data points of information. What we’re trying to do is make sense of what that information is telling us,” Lovas says. Figuring out how to analyze and use all that data, he says, could improve safety, reduce outages, reduce outage duration and reduce maintenance costs. Lovas also expects the substation of the future will respond to concerns about what substations look like, with utilities looking for more remote locations or planting trees around them. Underground substations could offer better security, as well as avoid complaints about the appearance of the collection of wires and equipment.